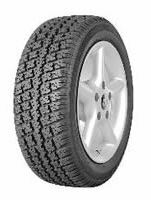 All new design, dual steel belted snow tire for maximum traction in all winter conditions. Meets and exceeds the RMA severe snow conditions test. Special formulated tread compound designed for maximum traction and flexibility in lower tempuratures. Stylish sidewall features cross-serrated black lettering.